The Come TT campaign ais to show the diversity of the T&T Carnival experience. In this 2017 photo a masquerader from K2K is caught on camera. 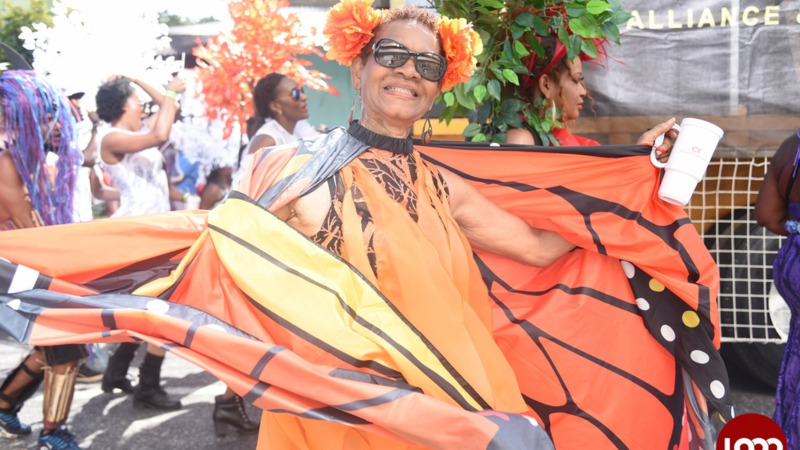 The National Carnival Commission (NCC) will be rolling out a marketing and promotional campaign to encourage visitors to come to Trinidad and Tobago’s Carnival. The campaign is called Come TT and will be activated in Barbados over the next few days as Crop Over goes into high gear ending with Kadooment on August 6. “It is both an awareness and loyalty campaign reiterating that Trinidad and Tobago is the heartbeat of Carnival. We are looking at all the in the Carnivals in the Trinidad and Tobago overseas Carnival circuit and reiterating that if you want to taste the real party come to T&T. We are trying to get greater loyalty among carnivalistas. Ours is not just the heartbeat but we have a wide array of events that go beyond the fetes and bikinis and feathers. We also have traditional mas, stick fighting and so on,” said Dr Suzanne Burke, a commissioner on the marketing committee of the NCC. Dr Burke and fellow commissioner Gervon Abraham are involved in the campaign. Dr Burke said the campaign was initially launched in Barbados last year by the Ministry of Community Development, Culture and the Arts. The NCC took over the campaign earlier this year when it took it to Jamaica for Carnival in April. “Jamaica was more of a scoping exercise. 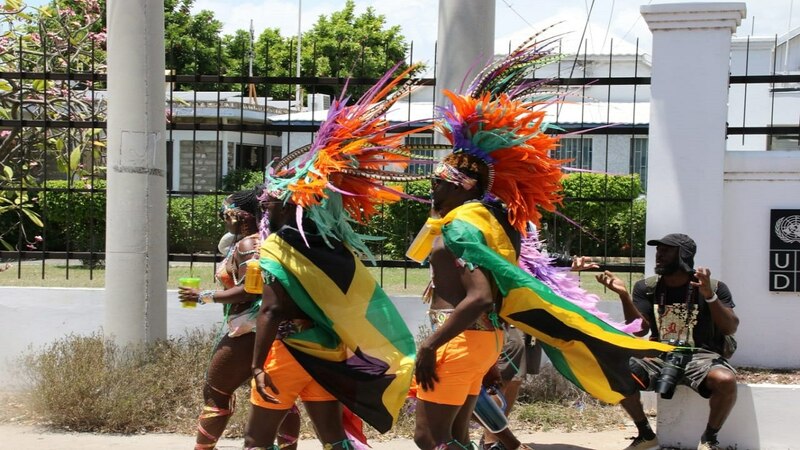 In Jamaica we learned our Carnival is rich, diverse, has many more products than Jamaica and other carnivals. We learned what makes our carnival different, we also learned that there is a fair amount of competition. Barbados was there heavily promoting their events, and we will do the same things but using the unique mix of our Carnival. We also learned that we have to be in the game. We can no longer just assume that the cache we had 20 years ago will stay. We have to work to keep the name of most original, vibrant and diverse carnival,” said Dr Burke. Dr Burke said since T&T cannot compete with the likes of Jamaica in prices for flights and accommodation, we need to focus on our competitive edge which is a fuller, richer experience thanks to the diversity of events. Stating that we need to select things that make our Carnival impactful, Dr Burke referenced the use of the stage as a pivotal focus of T&T’s road experience. She said Caesar’s Army, which the NCC will be partnering with to activate the campaign, recreates the stage in events such as AM Bush, an event that is held in Jamaica and Barbados. Dr Burke said they selected Caesar’s Army to partner with as they are already an established brand in many territories. “Caesar’s Army is already in all of the overseas Carnivals so as a point of entry we felt it was strategic to partner with them. They are already in the market so we don’t have to seek market entry on our own. We might expand with others in the future. We will see what return on investment we get and use the results to improve and amp up the activation,” she said. The Come TT campaign will be rolled out at Crop Over, Notting hill Carnival and Miami. Barbados will see the first full exploration of the campaign, said Dr Burke, and will incorporate a promotional aspect as people will be encouraged to take photos with brand ambassadors and traditional mas characters for a chance to win a trip to T&T’s Carnival. Asked if the Ministry of Tourism was involved in the campaign, Dr Burke said more formal talks are planned with them but as this is a five-year campaign, more stakeholders will be incorporated as they go along. She said the success of the campaign will be determined by exit surveys conducted with visitors during the Carnival period. Follow the Come TT campaign on Instagram.